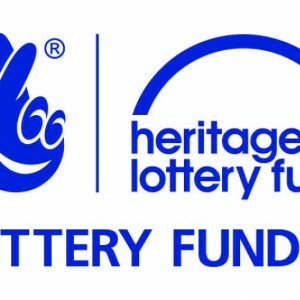 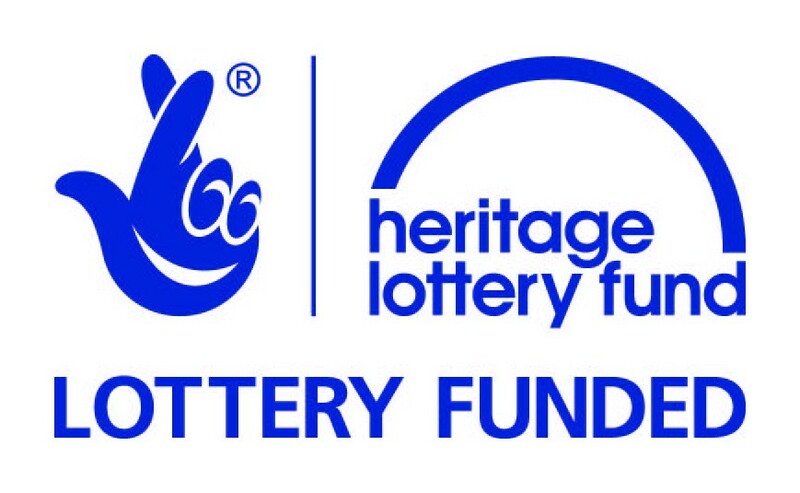 ERM were invited to attend an event celebrating some of the many community projects that were supported by the Heritage Lottery Fund to commemorate the First World War. 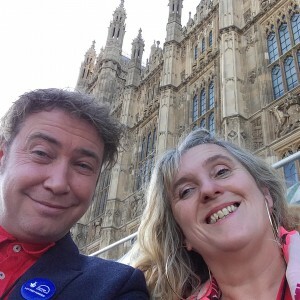 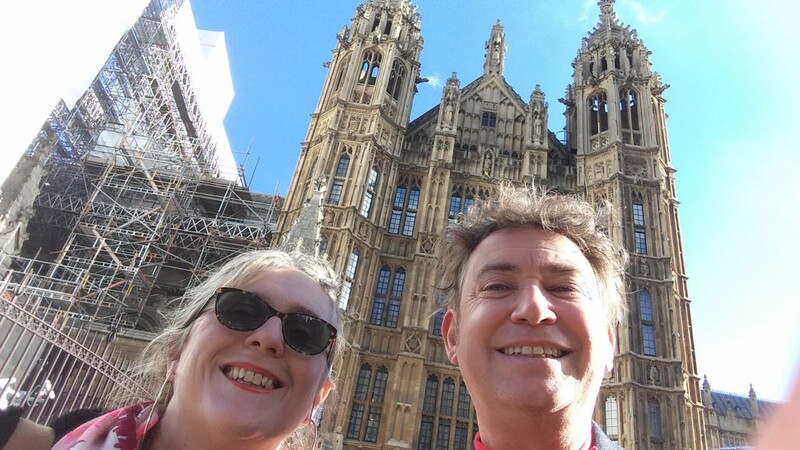 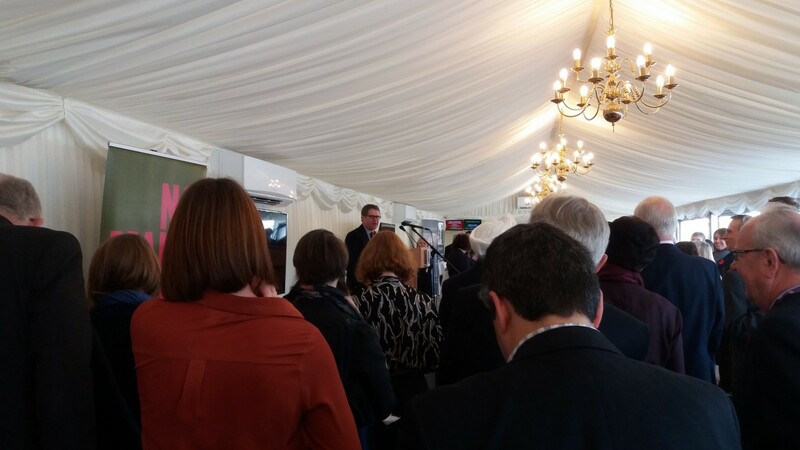 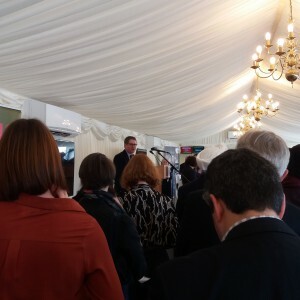 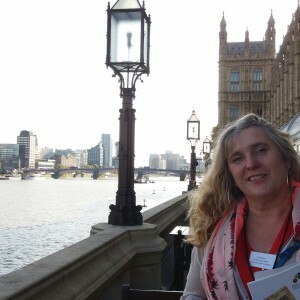 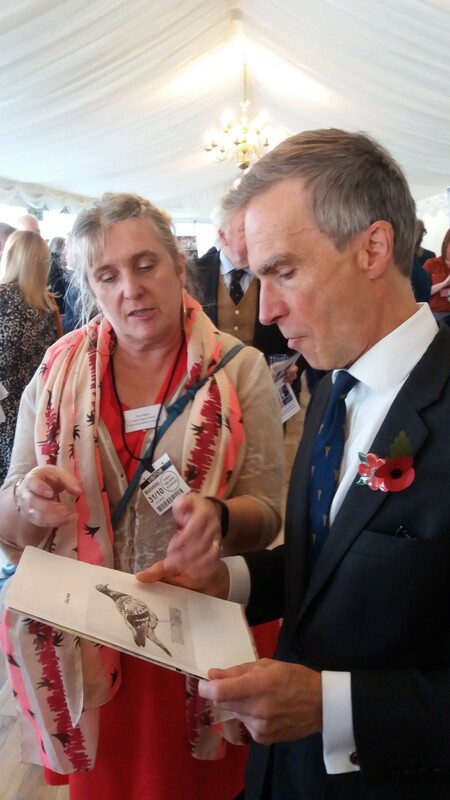 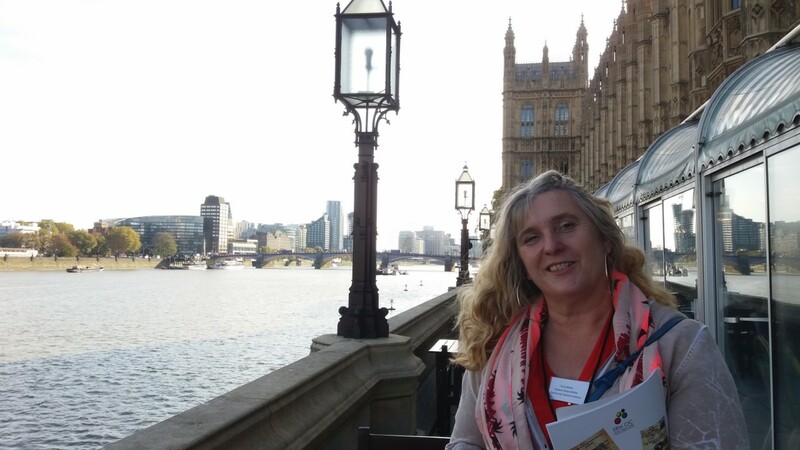 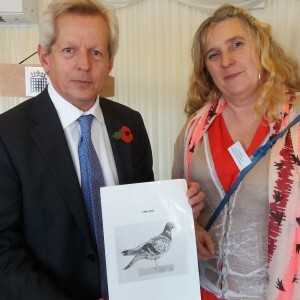 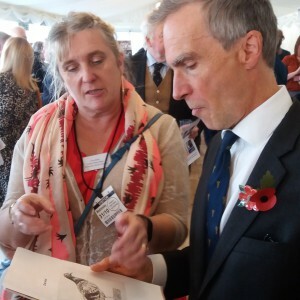 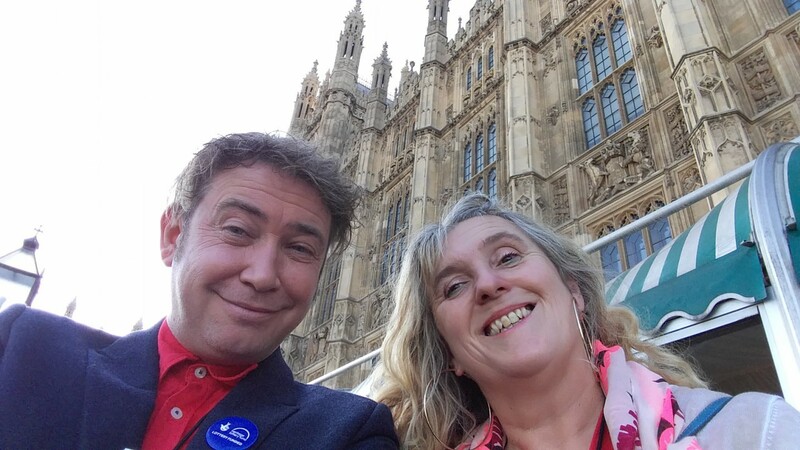 Fiona and Tim attended and met many MPs and HLF staff and supporters. 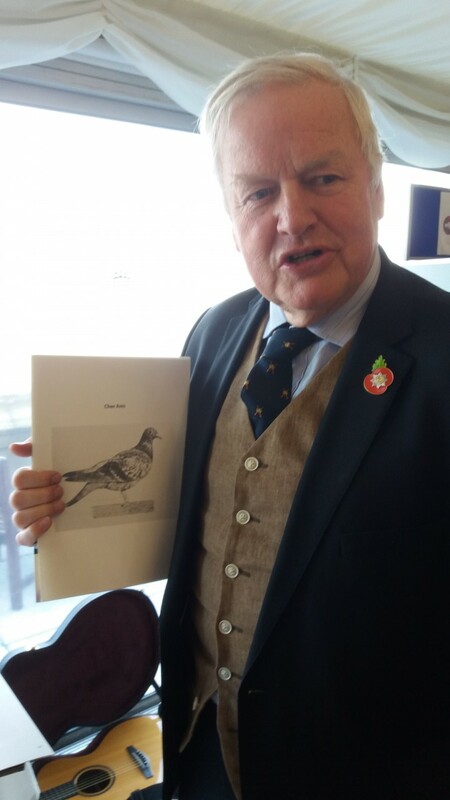 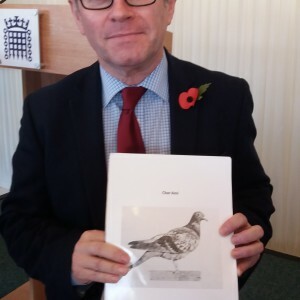 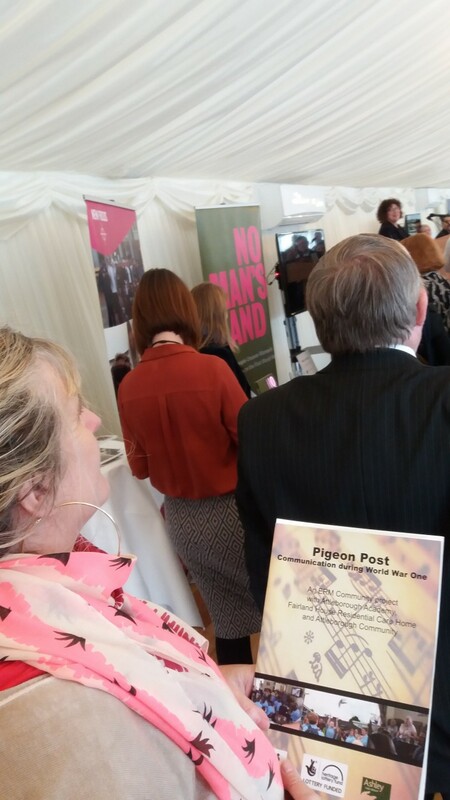 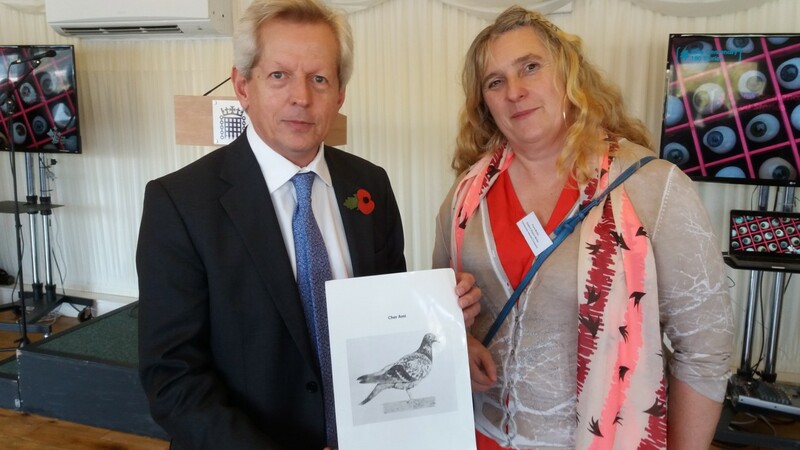 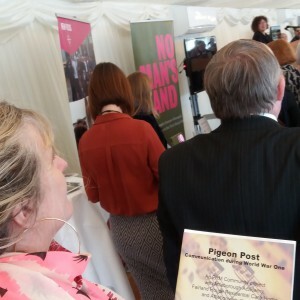 We were promoting our past project Pigeon Post (see elsewhere on this site) and one of our current projects Survivors! 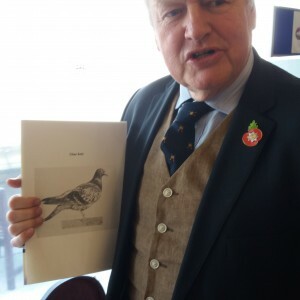 which looks at returnees to Norwich from the conflict. 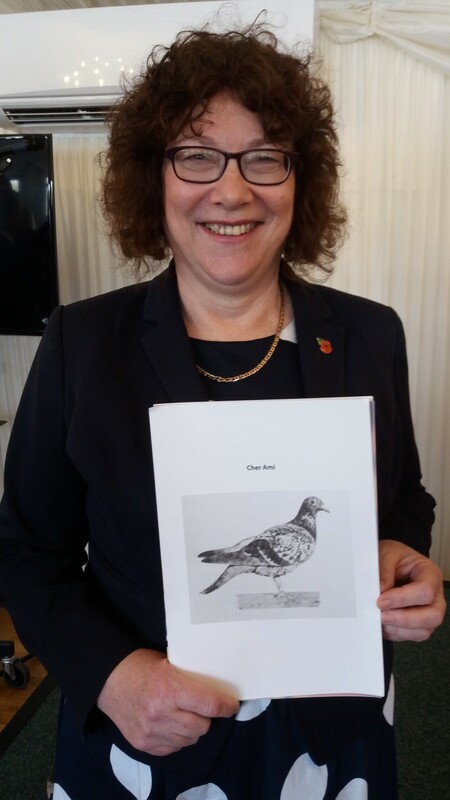 We used the image of Cher Ami, a WW1 veteran pigeon, whose actions helped the rescue of some 197 US airmen. 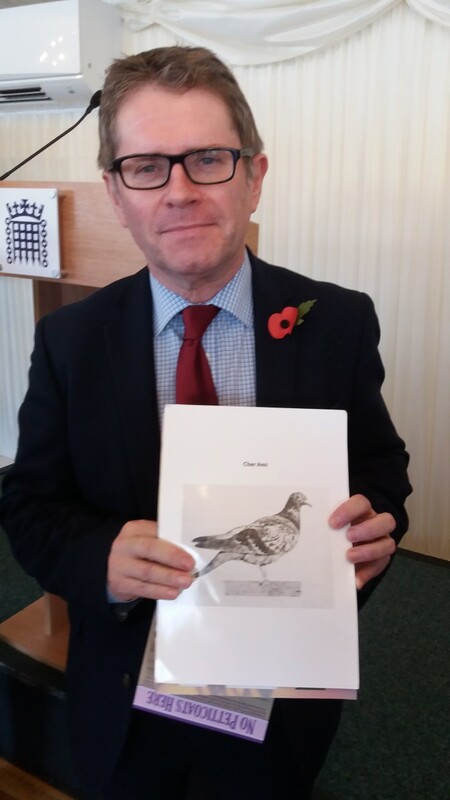 Cher Ami lived a long life in retirement despite losing a leg in conflict and being shot through the breast! 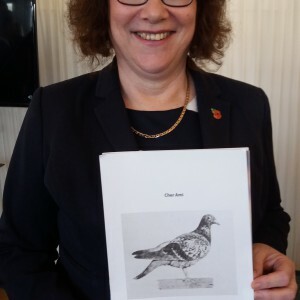 She now resides in the Smithsonian Institute in Washington DC, USA.